Dimensions 1 by 9.50 by 10 in. Flower arrangement in interior decoration. Pryke includes recommendations for flowers that suggest abundance but which have an extended vase life that saves both time and money. She also includes advice on having a cutting garden, which she sees as a natural extension of the revival of interest in growing edibles. With tips for selecting varieties in order to provide a constant supply of material for arrangements, Pryke also explores adapting foliage, branches, and other found materials to better link home and garden. 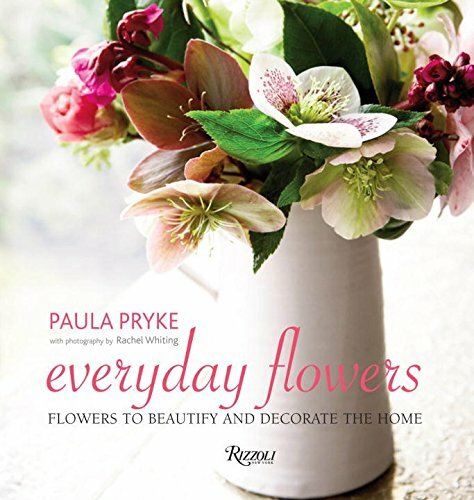 About: Paula Pryke is acclaimed for creating innovative and bold floral designs for memorable events and special occasions.